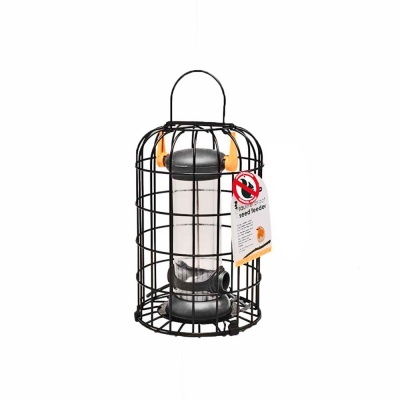 Petface Loktop® Squirrel Proof Seed Feeder provides a hung or pole mounted robust coated metal cage for storing and sharing feed for our wild birds, not greedy Squirrels! Suitable feeder for all types of seed mixes, keeping food fresh and dry due to the unique patented Loktop® system that locks the lid securely closed. 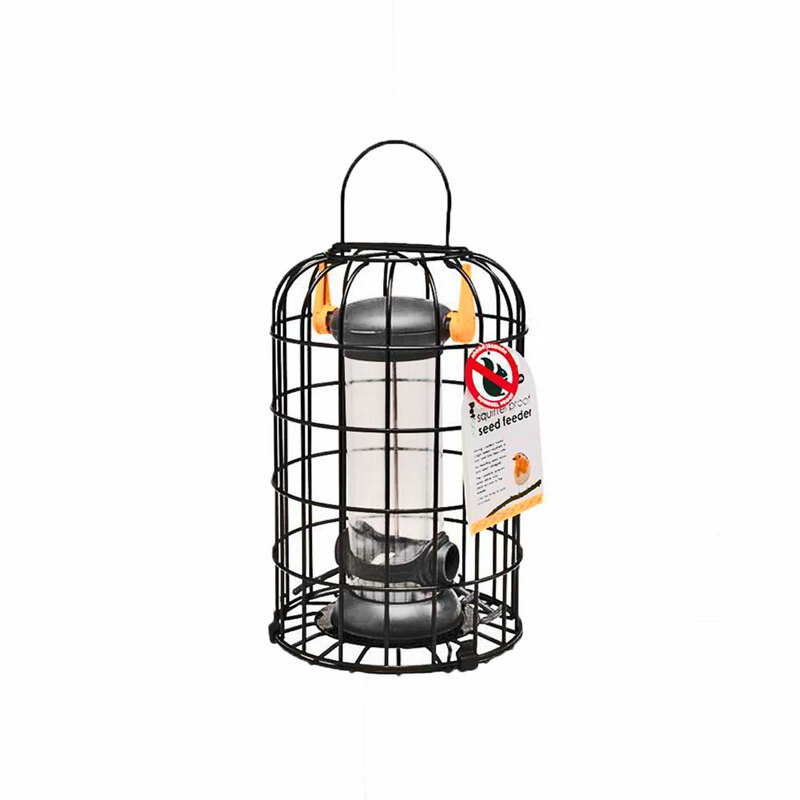 Black coated carefully spaced metal frame surrounds the internal feeder, allowing only birds access to feed, protecting from other predators! ...due to a unique system that locks the lid closed, ensuring that the bird feed stays dryer and fresher by keeping the elements out. Loktop® also deters ‘unwanted visitors’ from opening and stealing the feed and, should the feeder become dislodged and fall to the floor, the lid will stay closed. LokTop® system locks the lid closed when the wire hanger is rotated to the up-right position or is folded to the front of the feeder. When the hanger is folded to the back the lid can easily be pushed open for filling. The all important aspect of feeder hygiene is taken care of with no fuss, tool free disasembly. The feeder is held together using a single stainless steel central pin. Once this is unscrewed all the main components can be separated for cleaning. Other key benefits are….Large capacity feed tubes, fewer visits to keep the feeder topped up and a Pole mounting socket in the base.